Ms. Booe grew up in Pleasanton, California, and graduated from Amador Valley High School. 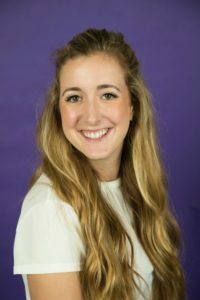 Though she started as a business major, she found her purpose in education as a Sophomore in college when she realized that all of her extracurriculars revolved around young students. Reflecting back to all the times she felt most fulfilled, Ms. Booe attributed those experiences to the power that students played in her life. Ms. Booe earned her Bachelors of Arts in Middle School English Education at Texas Christian University in Fort Worth, Texas. After completing her undergraduate degree, she went on to earn her Masters in Curriculum and Instruction, also at Texas Christian University. After spending time teaching at an International Baccalaureate school in Malmo, Sweden, she returned to Pleasanton, eager to be closer to home, to teach at her middle school alma mater. At Thomas Hart Middle School, Ms. Booe co-advises the Student Council and is the advisor for the Debate Club and the cool Korean pop dance club. Invested in students, she is always enthusiastic about working with young people. In her free time, she enjoys running, hiking, cooking new recipes, and reading. She absolutely loves traveling and being exposed to new cultures, ideas, surroundings, and adventures. When she cannot travel herself, she relies on books to transport her into different worlds. She feels extraordinarily lucky to have a job that does not feel like a job, and the opportunity to play a part in molding the minds of the future every single day.